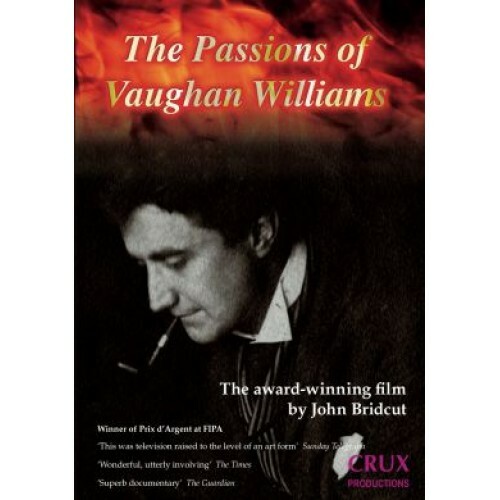 In this musical and psychological portrait of Ralph Vaughan Williams, John Bridcut reveals the passions that drove the giant of 20th century English music. It tracks the enormous musical range of an energetic, red-blooded composer whose output extends well beyond the delicate pastoralism of his perhaps most famous piece The Lark Ascending. This feature-length documentary tells the story of his fifty-year marriage to his increasingly disabled wife Adeline, and his long affair with the woman who eventually became his second wife, Ursula. The effect of these complicated relationships on his music is shown in specially-filmed performances by the Philharmonia Orchestra conducted by the late Richard Hickox, and by the singers of Schola Cantorum of Oxford, conducted by James Burton. Friends, relations and associates of the composer give first-hand testimony. One of the most poignant contributions is from Ursula Vaughan Williams, who was filmed shortly before her death at the age of 96. She reminisces about the love of her life, and reads some of her own poetry. She describes her first meeting with Ralph in April 1938, and the sparks of passion that were struck that day. The release of this film on DVD has been made possible by the generosity of the Vaughan Williams Charitable Trust.